‘Empire’ Season 3 Spoilers: Shyne Attacks Lyon Family – Will Lucious And Andre Survive? Spoilers tease that there may be more blood shed on Fox’s Empire. Lucious (Terrence Howard) and Andre (Trai Byers) will have to keep their guards up because they have an enemy coming after them. Shine (Xzibit) is coming after them and is determined to get revenge against the father and son. Will the Lyons lose another family member because of the upcoming war between them? Shine and Lucious have had problems in the past. They managed to put their problems on the back burner because of Nessa. Lucious wanted Nessa to be at his label so he was willing to get along with Shine in order to sign her. Shine wasn’t willing to give his sister up to Lucious as fast as he wanted him to. Related: Frank Whaley Joins Season 3 As Edison Cruz – Helps Lucious Break Up Cookie And Angelo? As Empire fans know, Lucious and Andre were able to get the best of Shine when they signed Nessa (Sierra A. McClain) to their record company. Shine wasn’t ready to sign with Empire just yet. He wanted to hold out for better offers, but Lucious threatened to kill him if he didn’t sign the contract. Shine signed it under duress, but won’t take it lightly. He is determined to get back at the Lyon family by any means necessary. Shine decides to get a group of people together to take down the family. They all have guns and plan on shooting the father and son. Shine wants to kill the Lyon family. 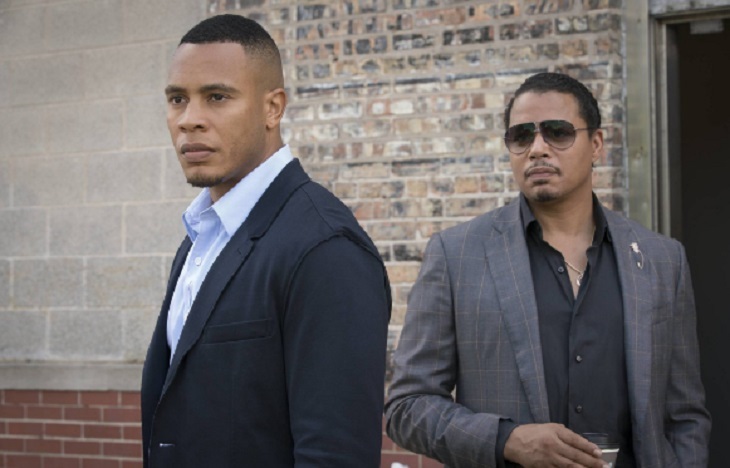 Lucious wants to have a talk with Shine, but he wants to get revenge on him and Andre. Andre may make Shine’s plan easier for him when he catches him off guard. Andre has been getting closer to Nessa so it will make things easy for Shine to get him. Shine catches him alone and puts a gun on him. Will Shine end up shooting him or will Lucious get to him in time? Will Nessa end up getting shot in the crossfire? Will Shine get revenge on the Lyon family or will Lucious end up winning in the end? Elsewhere on Empire, Jamal (Jussie Smollett) will be working with Hakeem (Bryshere “Yazz” Gray) to get over his PTSD. Lucious wants Jamal get over the shooting and perform again. Jamal decides to work with his brother in order to try and get over his performance anxiety. Will performing with Hakeem help Jamal perform again? There’s no way to know what will happen. We have to wait and see. can they just bring Rhonda back to LIFE as a long lost sister to RHONDA….. who wanted answers for her twin sisters death… is all i’m saying here… ANDRE and RHONDA deserve justice i hate how they were robbed by ANIKA she deserves to be punished for what she did to ANDRE and RHONDA… if these writers pass up on a storyline like that then… i will be shocked and sad to compare this show now to the dumb down depressing show…GENERAL HOSPITAL.. and that is BIG NOO NOO for EMPIRE.. EMPIRE is amazing and i hope they don’t do some stupid twisted storyline and fail miserably like GENERAL HOSPITAL has been doing since the past 2014-2016 present time..
A Rhonda twin would certainly be interesting. Hey, stranger things have happened on Empire!